In this tutorial I will show you how you can add just a few effects to make your footage look more cinematic. Obviously a lot of the settings on the effects will depend on what kind of footage you have. But in general you can mess around with the settings to customize the look and feel you are going for. 1) The first effect we want to drag to our film is the ProcAmp. 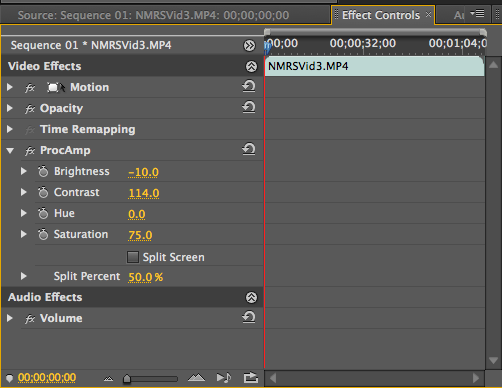 You can locate this (and the subsequent effects) using the search bar in the bottom left hand corner of Premiere. 2) After locating this effect, drag it in and click on the Effect control to modify these parameters. For a nice film look I recommend lowering the brightness a bit, and raising the contrast a bit. 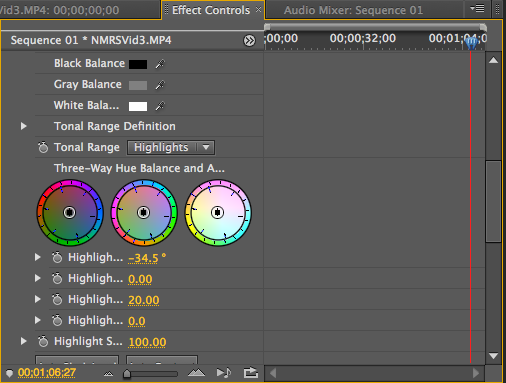 3) Next add the “Three Way Color Corrector”. This will allow you to really customize which colors are highlighted and damped on your film. It is best to mess around with this on your own, as it really depends on what footage you have captured. 4) The last effect gives your film the classic widescreen film look. 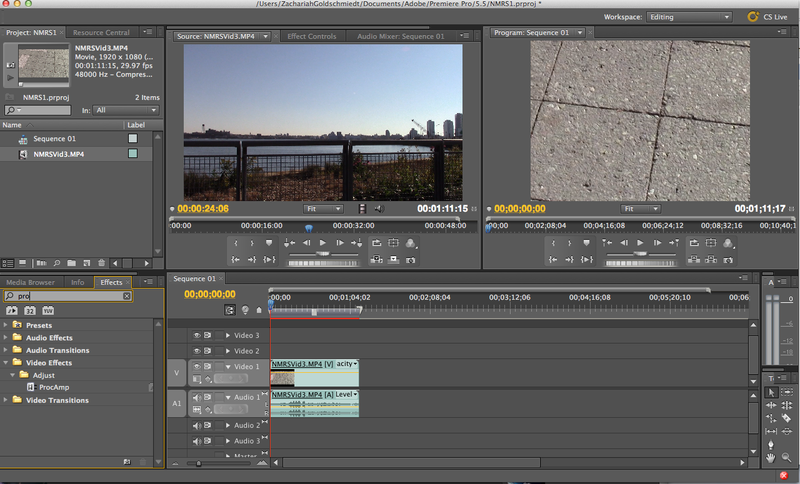 Changing the top and bottom parameters is a quick and easy way to get that widescreen film look as can be seen below. 5) Hope this helped! You are now three effects closer to making cinema quality footage. ~ by zg304 on November 17, 2013. Conciseness is the key to a solid tutorial! Well done. I think this is really interesting and easy to follow. To make it better maybe you’ll want to explain what exactly you mean by “cinematic quality” and why you might want to achieve the effect but I think you did a really good job of explaining the steps very clearly.